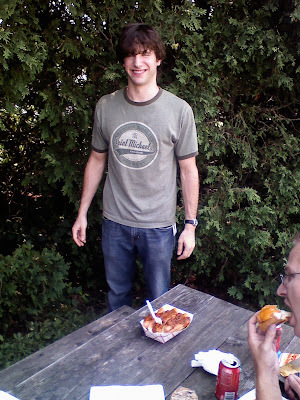 The Hot Dog Truck: New Chili Dog Record! 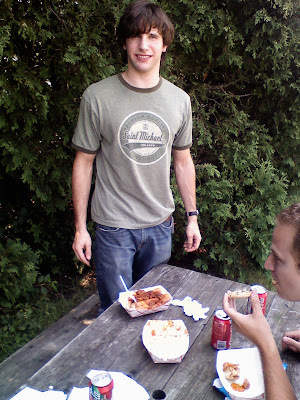 Tyler from BOSE had a mission: to break the Hot Dog Truck's standing record of seven chili dogs in one sitting! While this title is not as prestigious as the Nathan's Contest (yet), holding this record is the mark of a true food champion. Last week he managed to eat six chili dogs in a self proclaimed "training session." He came by yesterday with a determined attitude and an iron stomach. 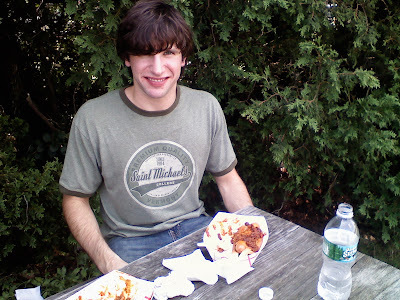 Here's Tyler with his first three chili dogs. Note the cheery disposition exhibited in his facial expression. Midway through his fifth chili dog, it appears the task is wearing on him. 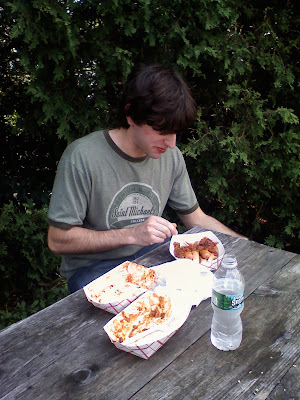 Tyler is contemplating the seventh and eighth chili dogs: one will tie the record, the other will make him a Hot Dog Truck immortal! Just one chili dog between Tyler and GLORY! 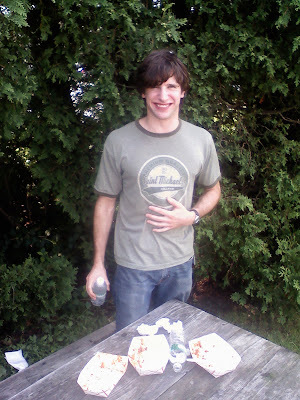 THE NEW CHAMPION stands with his completed trays, a testimony to his will and his appetite. Two things come to mind, one is TUMS. The other is GET A HAIRCUT DUDE! ALL HAIL THE HOT DOG TRUCK CHILI DOG KING! 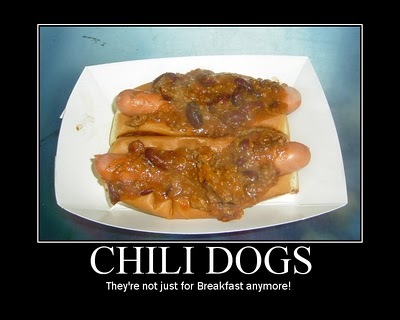 Anyone that can eat 7 chili dogs and go back to work must be OK! You seems to be food loving person.